Test your Dwarfian mettle with five rounds of taxing questions. 1. Which on-board chef did Kochanski go back to after splitting up with Lister? 2. Which hair salon does Ace recommend to the Cat? 3. What was Lister's childhood nickname? 4. Which two characters suggest, during the series, that the crew 'catch some surf'? 5. Which episode of Series VII was co-written by a member of the cast? 6. 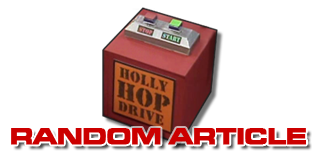 Which episode was originally titled Natural Born Rimmers? 7. Which of these episodes does not include the arrival or departure of a major character? 8. Which episode was a last-minute replacement for the almost-filmed Identity Within? 9. Which of these actresses was not a Bennett sister? 10. Which old pal of Danny-John Jules played Epideme? 11. Which of these actors did not play a German in Stoke Me a Clipper? 12. 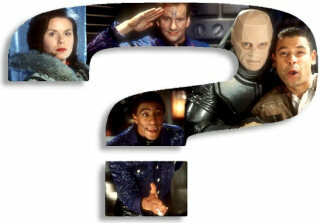 Which Red Dwarf guest star was doubled by costume designer Howard Burden? 13. A cut moment from Blue showed the virtual Rimmer coping better than Lister at what task? 14. What did the new Ace Rimmer do to avoid conscription to the army? 15. In a deleted scene from Epideme, Kochanski and Cat have a discussion about what? 16. In the later scenes of Nanarchy Holly's deleted scenes would have shown him doing what? 17. Who was brought in to Series VII at the last minute to provide additional Starbug effects shots? 18. 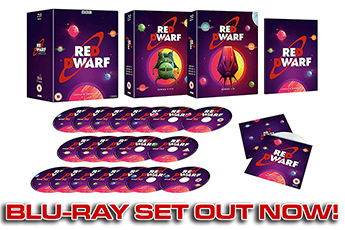 Series VII was the first Red Dwarf series to have what? 19. Which of these writers did not work on Series VII? 20. 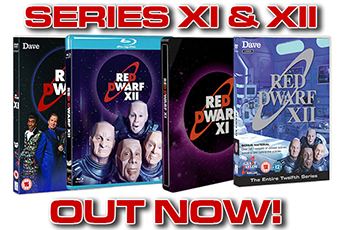 Chris Barrie appeared in how many episodes of Series VII?